Sometimes, seeing double is a good thing. This pair of sweet black Hondas is concrete proof of that. What's better than one Honda? Well two, of course. Especially when both of them are awesome street machines worthy of a Super Street feature. The owner of these two black beauties, Stephan Bonny, is obviously a pretty lucky (and infinitely cool) guy. And he's got a thing for the high-revving Honda F-series engine. Bonny picked up this very S2000 back in 2002, and he's been obsessed with them ever since. 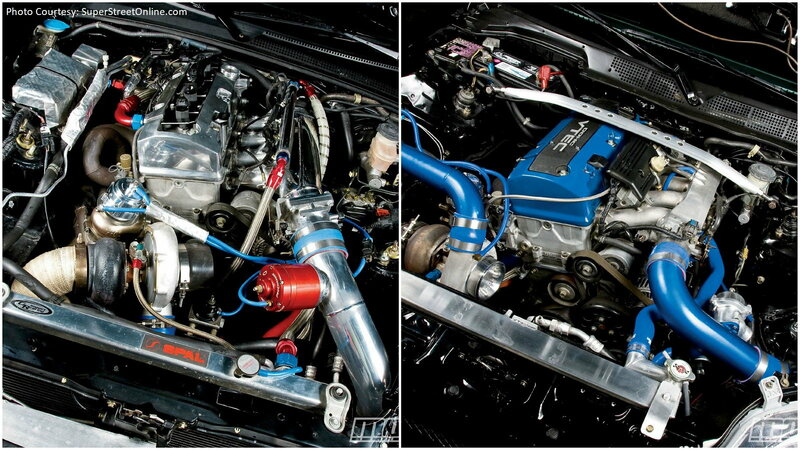 >>Join the conversation about These Nightmare Hondas right here in the S2ki Forum! 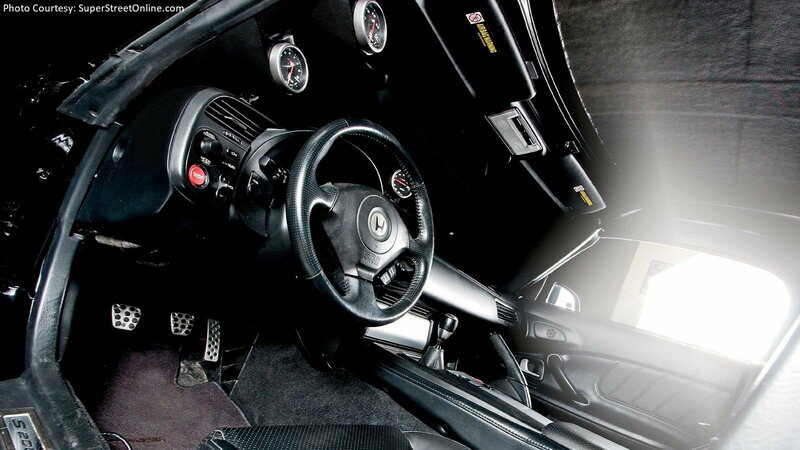 In the many years since Bonny's S2000 has undergone quite the transformation. For one, it's no longer blue. But at the same time, he was working on another, even more, ambitious project - an F20 powered, rear wheel drive Civic. The AP1 actually looks relatively tame on the outside, with a set of Work VSS wheels, Spoon hardtop, and CR front lip. And that's pretty much it. But don't let the car's subdued appearance fool you. Back when Stephen was first building his S2000, there weren't a ton of aftermarket parts or even knowledgeable builders around. Hence why the car was nicknamed "Nightmare." The build was a bit of a groundbreaker, mostly because of what lurks underneath that subdued exterior. And what lurks under the hood is a fire-breathing 2.2 liter AP2 inline-four receiving a healthy 47 psi of boost. The balanced and blueprinted mill pumps out a stout 1,000 hp at the wheels, but that's pretty much all we know about it. Stephen is tightly lipped regarding the rest of the build details, which we kind of understand. The S2000s Civic twin isn't exactly a slouch, either. It's rocked the dyno to the tune of 493 rear wheel horsepower. And interestingly enough, the idea came about because Stephen's buddy couldn't fit in an S2000 but still wanted the best of both worlds. Stephen is once again moot on the details surrounding the conversion but admits that it was a long and grueling job. Despite their lofty potential, both Hondas retain all of the creature comforts you'd want in a street car. That includes niceties like air conditioning and power steering. In the case of the Civic, Stephen had to custom fabricate the entire A/C system to make it work with the new engine. But now, at least he can blow away all comers without breaking a sweat.